Welcome to Arlington Gardens Care Center. 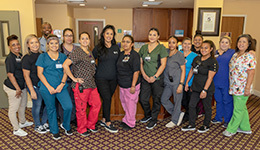 Arlington Gardens is proud to be a five-star, Medicare-certified, short-term rehabilitation and skilled nursing home located in Riverside, California. Each of our residents comes to us with very different and specific care needs. Our entire team is committed to creating individualized care programs that directly answer those specific needs. We encourage each resident to achieve their maximum potential of independence and ability. Arlington Gardens Care Center is a brand new state-of-the-art skilled nursing facility which allows us to provide our residents with the latest equipment for rehab, the finest amenities for their stay, and a top notch staff that ensures their time with us is comfortable and productive. Visitors are welcome every day of the week. 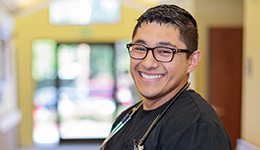 Come see our residents and friendly staff in action. Please contact us to learn more about the unique, sophisticated healthcare environment at Arlington Gardens Care Center. Our representatives are available 24 hours a day to meet your needs.